The most important sections of any book are the first and last chapters. The beginning provides context for the middle. And the end provides “the rest of the story” that makes every story complete. It’s impossible to understand a story by staying trapped in the middle, or circling around a few pages. But this is exactly how most people experience the Bible. If you want your family to grow in the knowledge of biblical truth, they must know Genesis and Revelation – the first and final books of the Bible. Your kids must know these scenes like they know the opening and closing scenes of their favorite movie you’ve watched ten thousand times. Genesis outlines God’s creation. — Revelation concludes with God’s re-recreation. Genesis lays out God’s plan. — Revelation lays out the fulfillment of God’s plan. Genesis starts with a heaven-like earth. — Revelation brings heaven to earth. If there’s any two books Satan would like to confuse in the minds of professing and would-be Christians, it’s Genesis and Revelation. Satan’s character and fate is demoralized by these Bible bookends. Genesis is where Satan is cursed. — Revelation is where Satan is destroyed. Genesis is when Satan’s judgment is announced. — Revelation is when the judgment is finalized. It’s no wonder there’s so much controversy today on Genesis and Revelation themes. Adam and Eve aren’t real. The flood is make-believe. Man was created millions of years ago. These are just some of the ideas swirling in the minds of more and more Christians today. For example, there’s a growing community of Christians (even Bible teachers and so-called “scholars”) who don’t believe the biblical account of Adam and Eve. In their minds, these early beginnings are just too ancient to fathom. Instead of taking Adam Eve literally, they reason that their Genesis mention must be poetic. Or perhaps it’s some kind of trick God is playing on the reader, like when you fake-throw a tennis ball to your dog and hide it behind your back. “Just believe in Jesus,” these doubters say. But believing in Jesus while rejecting other key biblical claims presents problems down the road. As young minds mature into teenage and adult minds, knowledge of the world expands and the capacity to reason does, too. Young adults can solve complex problems at work, discuss creative ideas with colleagues, and engage in mature discussion on the world’s ever-changing social and political themes. Meanwhile their “faith brain” remains in kindergarten. If forced to wrestle with fundamental truths (like those in Genesis and Revelation), they’ll be unprepared to connect the dots in a way that moves faith forward. Or worse, they’ll abandon faith completely (like a college kid who no longer plays with Legos). 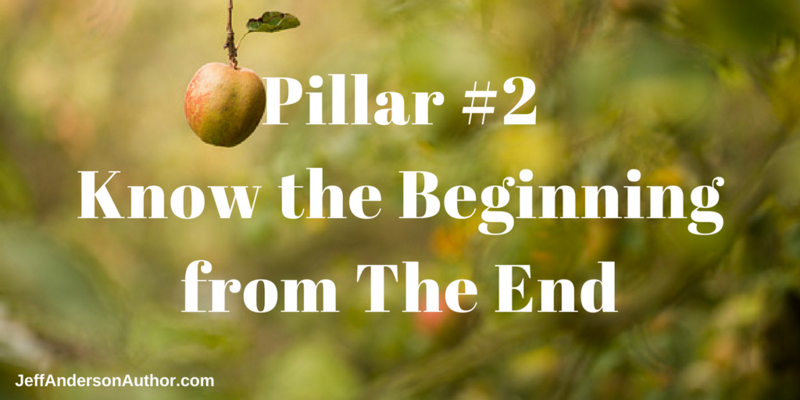 In my previous post, I mentioned five key events that hold the biblical narrative together. Three of these events are in Genesis. (And the fourth event is in Exodus – just one page out of Genesis). Knowing Genesis means knowing how the “rest of the Bible” supports the Genesis claims. And vice versa. It’s part of the connect-the-dots exercise that all Bible students learn to do. How do we know that Adam was on earth 6,000 years ago? Because of the genealogies provided in Genesis 5. And how can we trust the data in Genesis 5? It’s confirmed elsewhere in 1 Chronicles, Matthew 1, Luke 3, and elsewhere. How can we trust there was a catastrophic flood in the day of Noah? Jesus spoke of the flood (Matthew 24:37,38). So did Isaiah (54:9), and Peter (2 Peter 2:5), and the author of Hebrews (11:7). Genesis helps us piece together the overall puzzle and see the big picture. Once the picture is clear, removing pieces becomes unthinkable—even if it requires a brain-stretch. Is there really a hell? If so, is there really a lake of fire? Is there really a final judgment? Would a loving God send people to a lake of fire? These are some of the loaded questions plaguing Christian conversations today. Taking Revelation seriously forces the reader to deal with some deep themes. For those who read the Bible, a particular theme is clear: God is very serious about his judgments and prophecies. Chosen men were deeply inconvenienced (tormented and even martyred) for the sole purpose of delivering God’s prophecies. But the prophecies always proved true. And that’s the point. The prophecies in Revelation are actual events awaiting the future. This is not comic book material. The point is not to scare the kids. But the point is to teach kids the full truth, holding nothing back. Today we’re caught in a time when teaching on hell (and heaven, too) has been stripped from conversation. The idea of a judgment is absent. God’s righteous wrath has been replaced with a giant LOVE balloon. This has many Christians in a trance—forgetting that God hates sin, and in a shocking surprise to many, hates those who practice evil (Psalm 11:5). The Bible is rated PG, but Parental Guidance does not mean censoring the parts we’re not comfortable with. It means guiding the conversation and expanding their thinking. If there’s one problem I see today it’s this: people don’t fear God. The book of Revelation is a potent medicine for this ailment. If your family has lost a healthy fear of God, read Revelation. If you’ve become desensitized to spiritual truths, read about 200 million angels riding lion-headed horses for a massive battle where one-third of mankind is killed (Revelation 9). If you’ve lost touch with a healthy respect for eternity, read about the books that contain the name of every human being ever lived, born or unborn (Revelation 20). Ponder the different judgments for those whose names are in the books (plural) and the book (singular – the Book of Life). Have you ever read Revelation 21 & 22 with your family? Every family should do this. God gives very specific details of the new heavens. You can even draw it out on a napkin. The New Jerusalem is the capital city of the new heaven. It’s 1,400 miles long, wide and high! (Use your smart phone navigation map to illustrate for your kids what 1,400 miles represents.) The city is surrounded by a gigantic wall, with twelve gates. Kings will bring their treasures through the gates when they enter the city. YES, that’s right….kings! Of the many precious materials, there are streets of gold (not asphalt), gates made of super-sized pearls (not iron) and onyx – interestingly the Garden of Eden was rich with these same three materials (Genesis 2:12). And in the city is a tree bearing fruit all year long called, The Tree of Life – just like the tree in Eden. Genesis is not a fairy tale. And Revelation is not comic book material. Sound biblical literacy requires exposure to both books. Here are some tips for doing so. Like any family, we have various hobbies in our home. We have three sons who are athletes, a daughter who does theater and arts. We watch old movies together. We play board games. We enjoy road trips. And we study Genesis. That’s what the Andersons do. There are some awesome ministries devoted to shedding light on themes from Genesis. We’ve watched videos on the history of dinosaurs, videos on the effects of Noah’s flood (the fossilized effect on rock layers, fossil dating), etc. For starters, check out the resources at www.answersingenesis.org. Our family took up the hobby of Genesis research nearly 15 years ago. We’ve taken family vacations to places like the Creation Museum in Petersburg, KY. (They even have a life-sized Noah’s Ark nearby). We’ve attended Bible conferences as a family as well. I’m not talking about reading people’s accounts of heaven encounters—I can do without those. I’m talking about doctrinal teaching to build a framework for heaven. Our favorite source for this is www.epm.org (Eternal Perspective Ministries). Author Randy Alcorn has written many great heaven-themed books. You don’t have to become prophecy scholars. You don’t have to know what all the seven seals or the seven trumpets mean. There’s plenty to grasp without having to have a degree in eschatology. But read the book. When Jesus was young, the Jewish boys and girls learned from the prophet scrolls (Isaiah, etc .) The prophet scrolls for our day is Revelation. Jesus says, “blessed is the one who keeps the words of the prophecy of this book.” (Revelation 22:7). Learning Genesis and Revelation is a process. Start small, one bite at a time. And continue the journey for years. You’ll be surprised at the level of spiritual growth connected to engagement with these books — growth that can help your family to build knowledge and understanding, to abound in hope and anticipation, and to weather the storms along the way when faith is challenged.